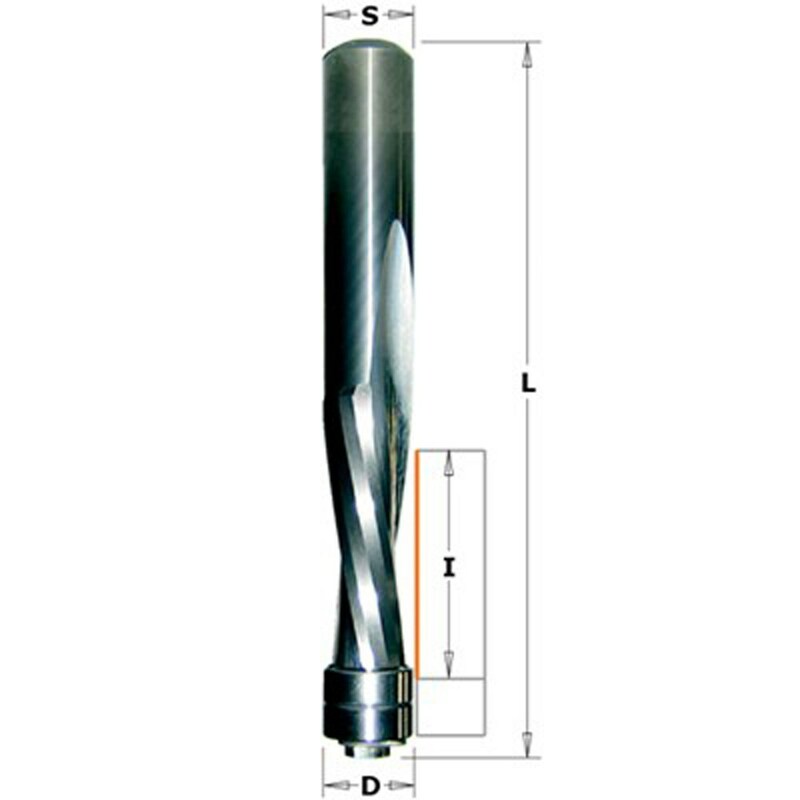 CMT Double Bearing Spiral Upcut and Downcut Flush Trim Router Bit - 1/2"
With an overall length of 114mm, and the upcut and downcut spiral cutting action, this is the bit to use when trimming melamine of veneered board, when the surface is important to protect. The spiral action gives a slicing action that cannot be beaten with a straight bit, and provides exceptional chip ejection. CMT solid carbide spiral flush trim bits are made from a special super-micrograin formulation which increases hardness with a higher transverse rupture point. In a workshop environment, this means these bits will run cooler, stay sharper, last longer and increase shop productivity.